As I noted in a piece a couple of weeks ago, this post has been dwelling in my drafted email folder for quite some time. Whenever I considered publishing it, I found an excuse not to — I’m too busy with work; it’s missing something; do I really believe in what I’m writing? A Forbes piece appeared in my Facebook feed last spring. At the time, I was working about 65 hours a week — half at a lefty national magazine; half at a luxury fitness club. I would roll out of bed at 4:30 AM to drag my sleepy self five blocks to the gym. Five hours later I’d speed walk back to my apartment with exactly 15 minutes to change, pack lunch, and brew a second cup of coffee. For five months, I hardly slept or socialized, and my body shut down. For weeks I battled sicknesses that built upon each other, until I found myself curled up in a Midtown CityMD waiting room, unable to work and in need of an antibiotic. I considered leaving the city when my lease ended last August. I spent much of my summer browsing housing sites. Twice, I had apartments fall through just as I was about to fork over hundreds of dollars for deposits. I finally found myself a new home — a spacious Crown Heights apartment with two wonderful roommates. I couldn’t be more grateful for the changes the late summer brought: a new apartment, a new job, fewer hours at the fitness club, and just a bit more time to socialize (read: sleep). Although my new schedule allows more freedom, I keep coming back to the Forbes piece. I read “How Successful People Spend Their Weekends” on a Sunday night. 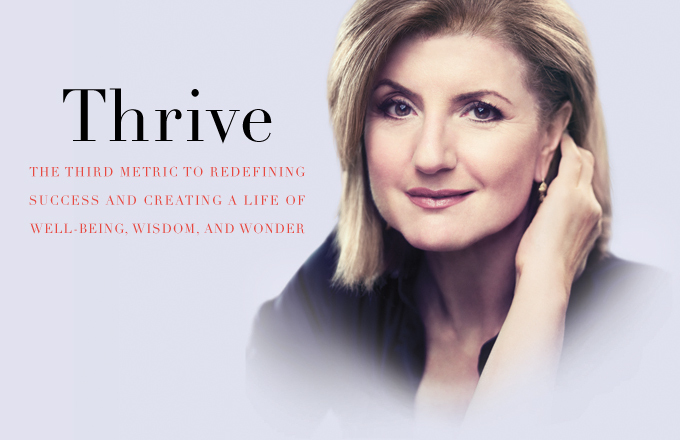 At first glance, I was very excited; I figured it would offer some Thrive–esque advice about time, stress and/or money management. It didn’t necessary fail to do that, but I found myself repelled by its assumptions. I was drawn in by “successful” in the headline. Success is a concept I’ve been seriously grappling with for the past few years. But as I read through the Forbes cheat sheet for how to make better use of my weekend time and model myself after “successful” individuals, I grew frustrated because it didn’t apply to me or many people I know. #2 They Designate Mornings as Me Time. That sounds lovely, and since I stopped opening the fitness club, I’ve tried to do that more. Still, sometimes I have to send emails, make calls or run errands, because it’s the only time I can. But when I first read this piece, I was already rising before the sun. To have “me time” in the morning, I would’ve had to wake up between 2:00 and 3:00 AM. I was working so much to pay rent — and yet I couldn’t help but wonder, “Does working insane hours to pay my bills on time make me ‘unsuccessful’?” The folks at Forbes probably think so… but I saw it as responsible. I’d rather work extra hours than get evicted, acquire a ton of credit card debt, or have to call home to beg a parent for extra cash. #4 They Pursue a Passion. I agree that “indulging your passions is a great way to escape stress and to open your mind to new ways of thinking.” It’s a key reason I try to work jobs about which I’m passionate during the week. On weekends, I clock in at the fitness club by 7:30 AM, and those shifts on Saturdays and Sundays allow me to maintain my membership, so I can work on weightlifting and attend yoga classes. The gym job is far from a dream position, but it allows me to pursue my passion for fitness, as well as stay healthy enough to spend weekdays on my primary passion: journalism. It’s fundamental to personal development to pursue passions, but if we designate only the weekends for our passion projects, it seems likely we’ll end up miserable the other five days of the week. #6 They Minimize Chores. Don’t get me wrong, sometimes I really hate household chores — but I must also confess to being a stress-cleaner who derives satisfaction from scrubbing floors and disinfecting all surfaces in sight. My journalism job (or “jobs,” since my main gig is freelance and I often work for multiple outlets simultaneously) can keep me at the office late. The hours are unpredictable and when I add that to my attempt to exercise regularly, I don’t spend much time at my apartment. I can occasionally squeeze in some late-night laundry, or vacuum on an afternoon off, but I tend to dedicate one of my weekend afternoons to cleaning, because I like the tidy space and that’s when I have the time. I am only 23 years old; I have many, many more years in the work force, and I plan to continue working jobs about which I’m passionate. I still struggle with whether I’d call myself “successful,” but I care deeply about the work I do and try to make sure each task aligns with my career goals and personal values. The Forbes list reads to me like advice for people who hate their day-jobs and only tend to their passions (and mental states) on the weekends…but rather than success, I see that as failure. Success should mean pursuing your passions (and finding a way to make a livable profit from that), rather than putting off passions until the two days per week a ‘successful’ person does ‘me time.’ Sure, sometimes I go weeks without a full day off…but when you (mostly) enjoy and believe in what you do for money, you don’t have to reserve your weekends to recover from your miserable day-to-day life. You end up living for more than the weekends; you end up living for every day you get to wake up and take on your next challenge.